It’s IBC time. Pack your bags and head to Amsterdam as the 2018 IBC show is ready to roll. 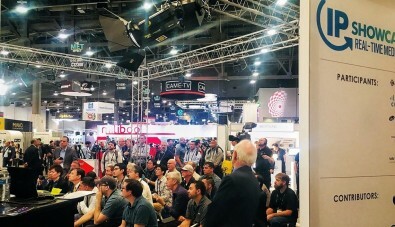 This year’s event is focused on all things IP and at least a dozen other themes including new equipment, technology security and Next Gen television. The Broadcast Bridge will be at IBC 2018 in stand 6.B01. Stop by, have a coffee and talk with our staff. Register for a free account to receive custom emails—about the technology that interests you and get that information on your desired schedule. You can also obtain information about the newest book from our technology editor, Tony Orme. His book, Broadcast for IT, will be available for purchase at our stand. It is not too late to register for IBC 2018. Simply go to this link and follow the prompts. See you in Amsterdam. Industry studies suggest that only about 20% of all digital data is ever accessed or used again after it is stored. Yet, the demand to produce more content is driving many media managers to seek better ways to store, search and retrieve enormous volumes of archival content to help build productions. A key partner technology in this quest should be active archiving. The IP Showcase will have more than 60 vendors with over 100 pieces of equipment, all displaying state-of-the-art IP technology. Also not-to-be-missed is the IP Showcase Theatre, which will host 30 hours of live presentations on IP technology. There will even be a Super Session on IP test and measurement.